When USA Today bestselling author Alissa Callen isn't writing, she plays traffic controller to four children, three dogs, two horses and one renegade cow who believes the grass is greener on the other side of the fence. 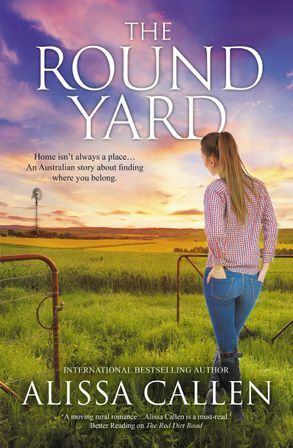 After a childhood spent chasing sheep on the family farm, Alissa has always been drawn to remote areas and small towns, even when residing overseas. She is partial to autumn colour, snowy peaks and historic homesteads and will drive hours to see an open garden. Once a teacher and a counsellor, she remains interested in the life journeys that people take. She draws inspiration from the countryside around her, whether it be the brown snake at her back door or the resilience of bush communities in times of drought or flood. Her books are characteristically heartwarming, authentic and character driven. Alissa lives on a small slice of rural Australia in central western NSW. To find out more, visit Alissa on her website. You can also follow Alissa on Facebook and Pinterest.